This is a log cabin quilt. Yes, I went back to familiar territory and did a traditional, symmetrical quilt this time around 🙂 Below is a close up of the fabric that inspired the name I chose – I think it’s perfect for a boy’s quilt! The orange fabrics, with the exception of the edge binding, were all donations, while the namesake was leftover from a quilt I made 12 years ago for my nephew. 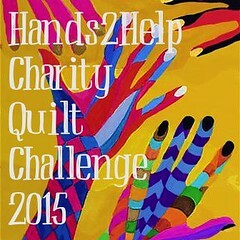 I donated this quilt visa vie the Hands2Help Charity Quilt Challenge 2015. I chose to donate it to Nita who blogs at Because You Matter since her goals and focus are similar to mine: to make and give a quilt to a person who is having a hard time and would be comforted by a handmade quilt to snuggle up in, particularly children in foster care. This entry was posted in Quilt Projects and tagged charity, foster, foster kids, log cabin quilt, quanket, quilts by jeanswenson. Bookmark the permalink. I wasn’t able to see the detail, but it is a striking quilt.. Whoever gets it will be very happy. When I originally purchased and used this fabric in my nephew’s quilt, he was about 6-years old and it’s perfect for a little boy’s quilt. Such a cool quilt, and sure to make some little boy very happy! Thanks for participating in the Challenge this year!! Thank you! I am thrilled to be part of this year’s challenge and look forward to next year’s! I love the quilt and the organization it is going to. Thanks! I think it is sort of cool to have my quilts from SoCal going to BC Canada — multi-national quilts!